One Potato, Two Potato, Three Potato, 40,000 Potatoes!!! 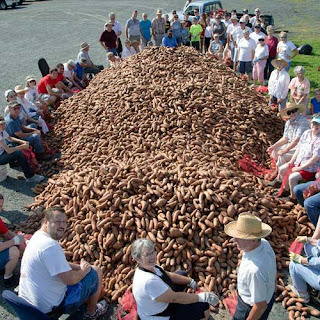 For the first time we are receiving white potatoes, 40,000 lbs and we NEED your help! This is taking place during the day on Wed. March 16th and makes it very challenging to get volunteers. Please share this information with all your friends and post on social media. 980 Hughes Road, Madison AL. All you need is a heart for the hungry and your hands. All ages are welcome.